Crisp and clean lined, this 'thirties style push plate adds a Deco flair to your door. Durable and attractive, it's ideal for high traffic residential or commercial applications. Finely cast from solid brass, with a polished and lacquered finish. 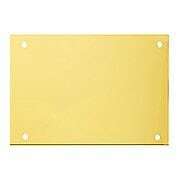 Our brilliantly polished Solid-Brass Kick Plate is the finishing touch to any door. This top-quality model is lacquered to preserve its gleaming finish, and comes in eight standard sizes and three mounting options. 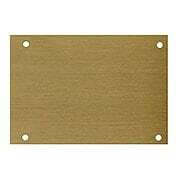 This solid brass kick plate is an elegant and practical enhancement to your front door. The darkened and lacquered finish makes it the perfect complement to new or vintage antique brass hardware. Select from 8 standard sizes and 3 mounting options. 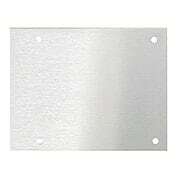 Stylish, durable and ever so practical, this satin nickel kickplate is ideal for mid-century or contemporary homes. 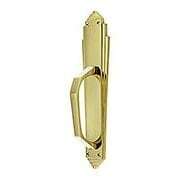 It's made of solid brass, which is plated and lacquered to preserve the satiny finish. Select from 8 standard sizes and 3 mounting options. 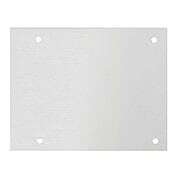 Whether your home is traditional or contemporary, this gleaming steel kick plate gives your entry a sophisticated edge. Made of polished stainless steel, it's the perfect companion to chrome, stainless or bright nickel hardware. Select from 6 standard sizes and 3 mounting options. 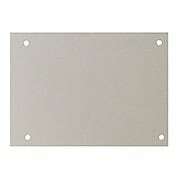 This brushed stainless kickplate is a popular choice for contemporary homes or commercial locations. The practical and durable finish will withstand the elements in style. Select from 8 standard sizes and 3 mounting options. 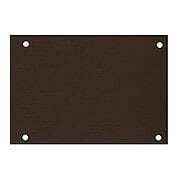 The dark and uniform finish of this exterior kickplate makes it the perfect companion to oil-rubbed bronze door hardware. Made of economical aluminum with an anodized finish, it's durable and impervious to the weather. Select from 8 standard sizes and 3 mounting options. 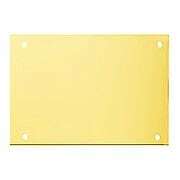 Resembling gleaming, polished brass, the PVD finish on this steel kickplate will last a lifetime. Weather impervious and extremely durable, it's a great choice for coastal climates or any high traffic entry. Select from 8 standard sizes and 3 mounting options.